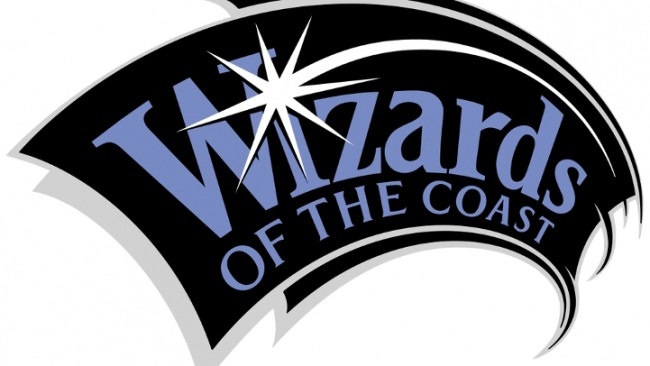 Stronghold Games is expanding its line of “roll and write” style games with the release of three new titles in June: Twice as Clever, Dizzle, and Brikks. 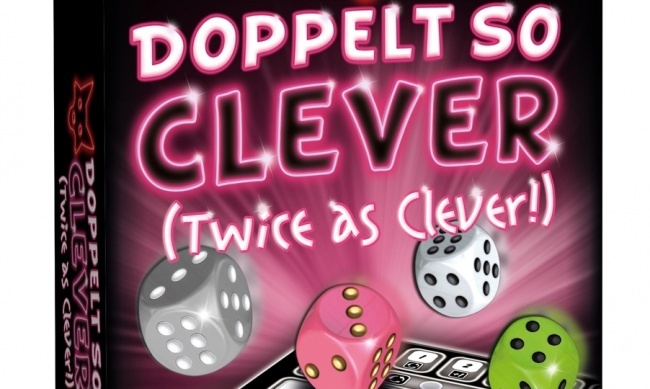 Twice as Clever was designed by Wolfgang Warsch, creator of the Kennerspiel des Jahres-nominated Ganz Schon Clever (see “2018 ‘Spiel des Jahres’ Nominations”), which Stronghold released in America under the name That’s Pretty Clever earlier this month. 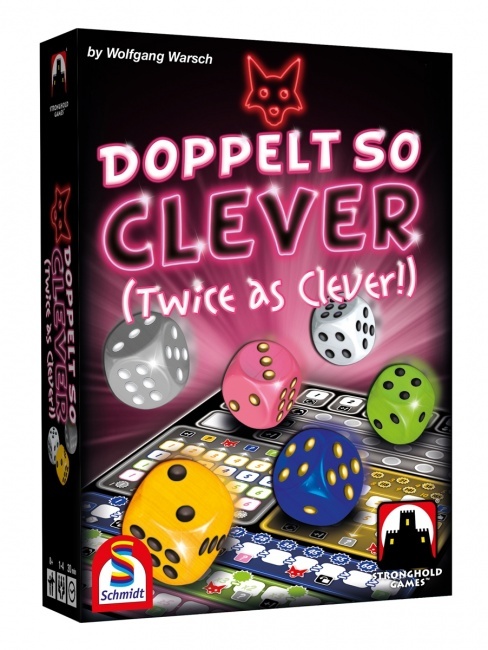 Twice as Clever is a sequel of sorts to Warsch’s earlier design, using similar mechanics with the addition of new categories and actions. Each turn, players use up to three dice to fill spaces on their scoring sheet, while their opponents can use the dice they don’t choose. The game includes 6 dice, 4 felt-tip pens, and a scoring pad. 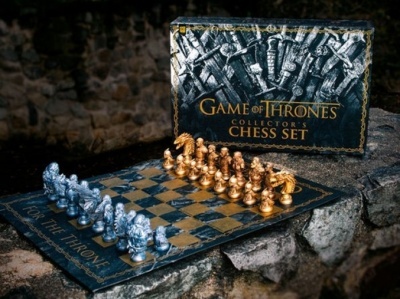 It is intended for 1 to 4 players, ages 10 and up, and takes about half an hour to play. MSRP is $19.95. 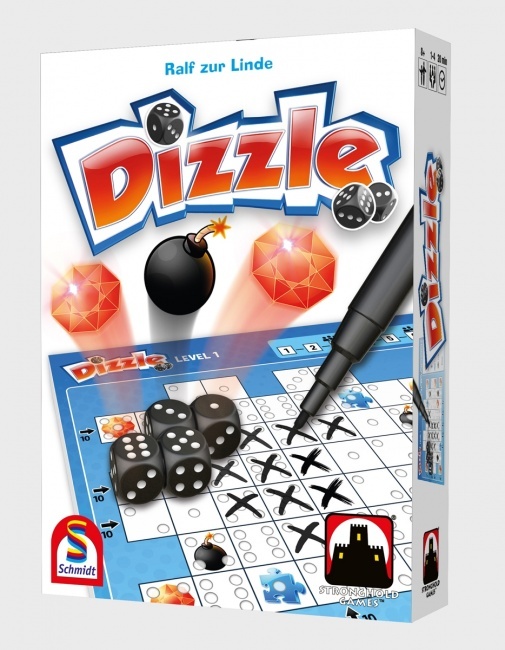 Dizzle was created by Ralf zur Linde (co-creator of Finca and Pergamon). It comes with 13 dice, 4 felt-tip pens, and a scoring pad divided into four levels of difficulty. 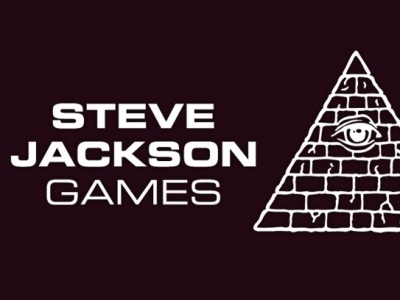 Designed for 1 to 4 players, ages 8 and up, it takes under half an hour to play. MSRP is $19.95. 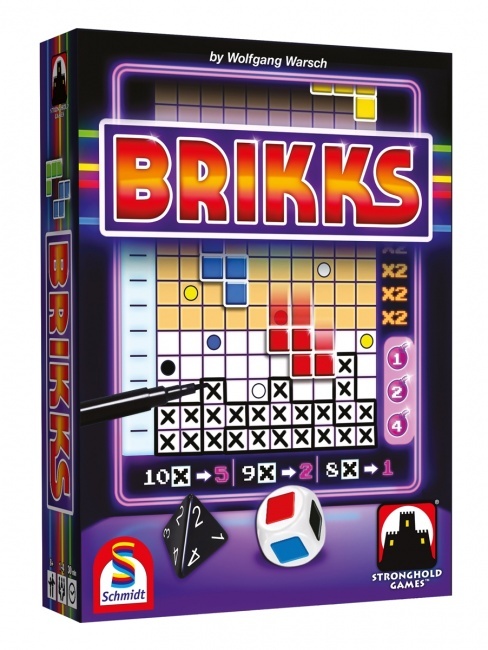 Rounding out the trio is another Warsch design called Brikks, which converts brick-dropping games like Tetris into a roll and write game. Each round, a die roll determines the shape of the brick that “falls” into the field, which players can “move” and “rotate” by spending energy, which is earned by dropping bricks on spaces with a matching color. Points are earned by completing rows. Brikks comes with 2 dice, 4 chips, 4 felt-tip pens, and a game pad. The game is playable by 1 to 4 players, ages 8 and up, and takes about half an hour. MSRP is $19.95. 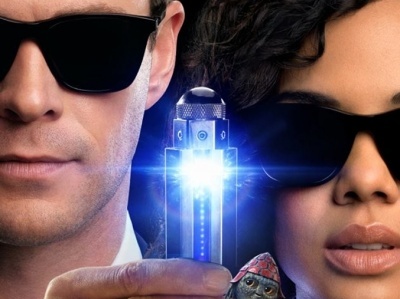 Roll and Write games—which involve a worksheet, scoresheet, or erasable board that players fill out based on dice rolls—are becoming more popular in the U.S., following a similar trend in Europe, inspiring adaptations of popular games (see “‘Lanterns Dice: Lights in the Sky’”). Warsch’s Ganz Schon Clever was beat out for the Kennerspiel award last year to another game by the same designer, Die Quacksalber von Quedlinburg (see “Winners for 2018 ‘Spiel des Jahres’”).